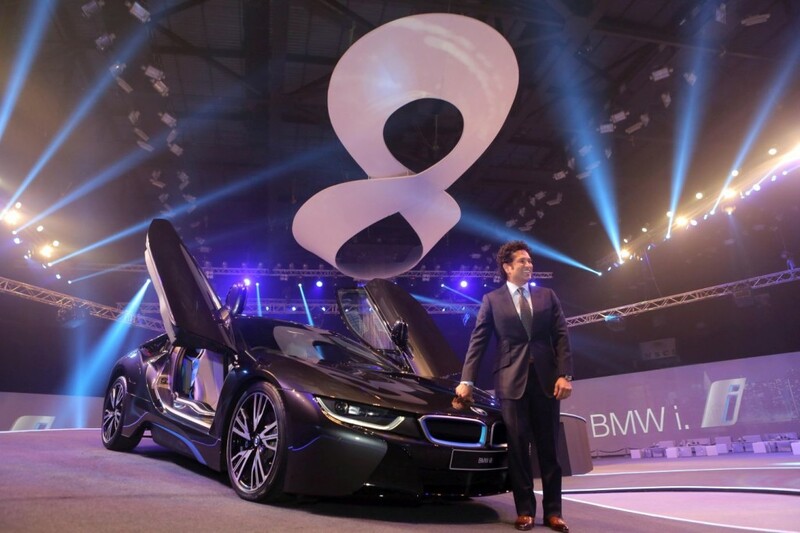 BMW India introduced the new sub-brand BMW i in India with the launch of BMW i8 the hybrid car in India. The car was showcased at Auto Expo 2014. The BMW i8 is available at BMW i dealerships in Mumbai, New Delhi and Chennai as a CBU (Completely Built-Up). The intelligent plug-in hybrid system in the BMW i8 uses both electric motor and a petrol engine. With BMW eDrive, the battery can be charged from any mains socket or while driving. The BMW i8 features new sophisticated aerodynamics and environment friendly materials. You can see the fluid lines and flat silhouette on the car will improve the dynamics. The extremely broad BMW kidney grille stretches over to the slim headlights, accentuating the width of the BMW i8 and its road focused stance. Highlights such as the handle-free ‘scissor’ doors and strongly expressive LED headlights. The interior of the BMW i8 takes its cue from the fluid, dynamic exterior with a reprise of the layered surfaces that underpin the unique design of this car. Every feature in the cockpit is systematically focused on the driver. The centre console is angled towards the driver at twelve degrees, putting all displays, instruments and controls in their direct line of sight. The BMW i8 has intelligent plug-in hybrid system that combines the benefits of an electric motor and a petrol engine to produce the highest efficiency and maximum dynamics. The electric drive, a powerful 131 hp lithium-ion battery is located on the front axle. The rear axle is driven by BMW TwinPower Turbo 1.5-litre three-cylinder petrol engine with 213 hp of peak performance. Together, the two units deliver a maximum power of 362 hp which accelerates the car from 0 to 100 km/h in 4.4 seconds using all four wheels in the process. 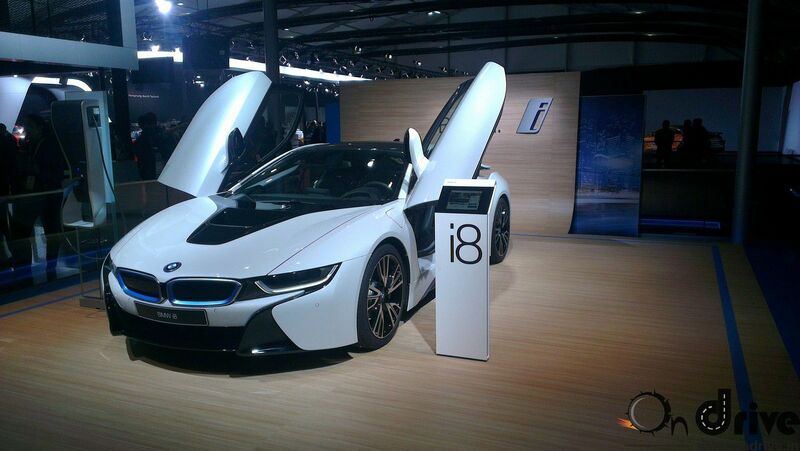 On Battery power, The i8 will reach maximum speed of 120 km/h with a maximum range of 35 kilometres. In conjunction with the combustion engine, the electric motor takes the epowered supercar to up to 250 km/h, and depending on driving style the driving range can be up to 600 kilometres. Another impressive characteristic is record low fuel consumption and CO2 emissions, at an average of 47.45 km/l and emission of 50.36 g/km. The BMW i8 is available at an all India ex-showroom price of ₹ 2,29,00,000. 34.8mpg, which is good mpg for a sports car. Love the looks.